Hi ,m pursuing my graduation in tourism from itft college new chandigarh, now i wanna takes admission in punjab universty in law program. Bachelor of law. This a 3 year law program and to take admission in this the basic eligibility is that you need to possess a bachelor's degree from any stream with minimum 45% aggregate. Then they conduct an entrance exam. Doctor of laws and doctor of philosophy in laws. 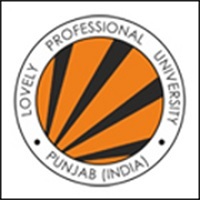 The above three law courses are available in Panjab University. Hope this helped. Good luck!! 1.Students who have cleared or are in their final year of Bachelor’s degree in any faculty of the Punjab University are eligible for admission. General category candidates must have at least 45% and SC/ ST/ OB category candidate should have 40% marks. 2.Those who have obtained Master’s degree in any subject from Punjab University. 3.Master’s degree from any other university recognized as equivalent to PU. However, those students who have done 10+2 or graduation/ post graduation through Open University system directly without having any basic qualification are not eligible for admission in LLB course. Also,those applicants who are living abroad at the time of entrance test will not be allowed to give the test. For more information you can check out PU's official website. Good Luck! I took admission of b.sc tourism & hospitality from MKU dde study centre and they said course fee is 14500/- per year.is that true? I think they are providing you fee with double of the actual fee as shown in the MKU DDE official website. I am providing you the link where you can see that the fee for each year is only 7000 for Bsc tourism and hospitality. I hope this will clear your doubt. If you are interested in travel and tourism i am going to suggest you one of the best institute for pursuing MBA in travel and tourism. The college name is Indian Institute of Tourism and Travel Management(IITTM). It's an Autonomous body under ministery of Tourism,Government of India. It is one of the best college for MBA in travel and tourism with modest fee regime. It has seven campus all over India. 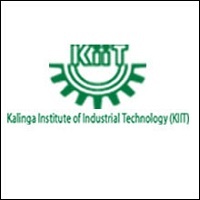 CAT/MAT/CMAT/ATMA/XAT/GMAT with 70 percentile in any of the exam OR you may also appear in the wriiting test IGNTU IITTM Adimission Test conducted by the institute itself on 9th of june 2019 (tentative) at IITTM centres. The eligibility for admission is same as in the other entrance exams. You need to have a bachelor degree with 50% aggregate marks for general catergory, for ST/SC its 45% from a recognized Institute. After clearing the exam you have to appear for GDPI round which has the weightage of 15% each. Last Date of applying for the admission test is May 17,2019. Merit in the qualifying examination subject to eligibility criteria. Yes, MBA in Tourism and Hospitality Management is available. Eligibility is same as like general MBA, 50% marks in graduation from a recognized university and secures good percentile in national level exams like CAT, MAT, CMAT or Entrance test conducting by institutes like XAT, LPUNEST. Before joining into any institutes you must have to check three parameters, parameters are 1)Placement 2)Faculty and 3) Infrastructure. I can suggest some institutes which are meeting above three parameters. Hope this information will help you. Best wishes. But i can tell you some factors which they will be based on. 1 No. of candidates appeared for the exam. 2 No. of candidates passed the exam. 3 Difficulty level of question paper. 4 No. of vacancy for this exam. Please do visit their offical website to know more. Xibms.in is approved by government???? Xavier Institute of Management, Bhubaneswar(XIMB) ia a part of Ananta Education Society which is registered education society(F 19327) with Government of Maharashtra under Societies Act 1860 and is also a registered with Planning Commision Government of India (KA/2010/0028324). The XIBM is proud to be institutional member of Indian Society for Technical Education(ISTE) which is one of the most prestigious Bodies Governing Technical Education and is also one of the AICTE partner body to run various programs. Hello Rajesh. XIBMS is accredited and approved by Distance Learning Council of India. The courses provided by the institute is approved by the HRD Ministry of Govt of India. Also it is part of the Ananta education society which is registered under Govt. Of Maharashtra. Hence you can be assured that XIBMS is not only govt approved but it provides courses which is approved and accredited in India and internationally. You can check their accredition page to know more about their accreditions. Hope this helps. For further information feel free to comment down below. I should. Choose BBA in travels and tourism is it good or not if it is not good so prefere me something good related to BBA? It totally depends on you in which area you want to build your career. In BBA in tourism and hospitality, it's all about learning about new places, your historical monuments etc . You can decide in which area you want to go. It is totally depends upon your choice or in that subject you have deep knowledge and interest so that you can score good marks in that subject and then you will become an expert of that field or you will get a good job. Course of MBA in tourism and hospitality management in LPU is good. LPU school of hotel management and tourism is among best schools in India. 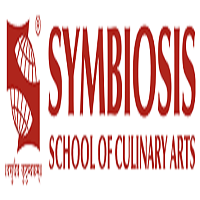 It grooms students through industry Endorsed curriculum and intensive service oriented practicals. The faculty of University is amazing. Many 5star hotels come and select students . So hope you got the information you were searching. LPU School of Hotel Management and Tourism is among India’s best Hotel Management and Tourism colleges that grooms students through industry endorsed curriculum and intensive service oriented practicals with industry exposure in excellent infrastructure. Students are surrounded by peers from 70+ countries giving them an international edge. The school provides students with simulation labs, aviation labs, restaurant training labs, basic and advanced training kitchen labs that expose the students to real-life situations and environment. The School is conducting various workshops through which students are learning the live technical skills through tactical experiences. LPU students are working in reputed organizations all around the globe. YOu have 8-9 months for prepaartion so study hard make a time table and concentric study. It is too early to comment on exam dates.Follow official site of exam autority to know about the exam.It will be there in april but I cannot comment on exact date and if you wish to take state level entrance exam then it will be in april or may month.